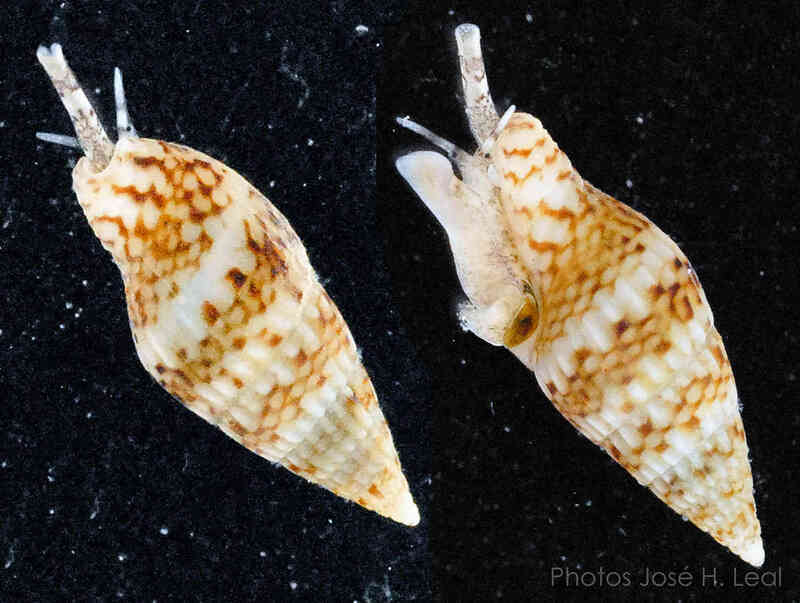 Shell size to 9 mm; spire elevated. Shell surface glossy, shiny. Axial sculpture of about 20, somewhat straight, narrow ribs. Spiral incised lines between ribs. Suture distinct. Outer lip denticulate. Color ivory-white to yellowish with a very regular pattern of reddish-brown markings. This species has not yet been formally named. 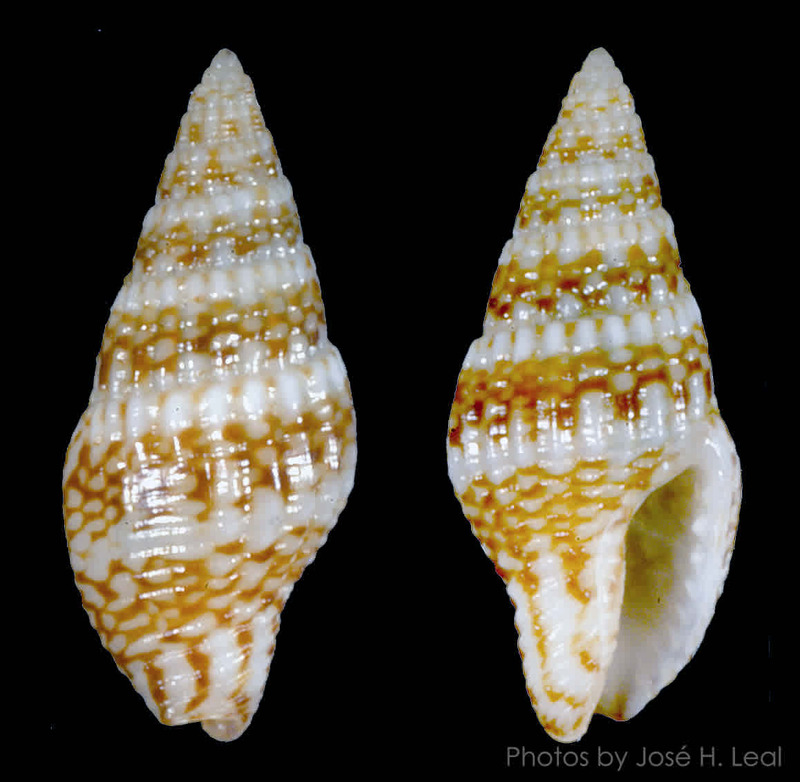 It belongs to a complex of species misidentified in the shell literature as Costoanachis sparsa (Reeve, 1859). The abbreviation "aff." used as part of the scientific name stands for affinis, Latin for "similar to." Also closely similar to C. similis (Ravenel, 1861) from the east coast of Florida. The mantle and foot of the live animal are whitish with brownish-gray blotches. The tentacles and siphon are of same colors, but the blotches become rings around those structures. Live animal from Sanibel photographed by José H. Leal.